Hans Christian Ørsted (; Danish: ; often rendered Oersted in English; 14 August 1777 – 9 March 1851) was a Danish physicist and chemist who discovered that electric currents create magnetic fields, an important aspect of electromagnetism. He shaped post-Kantian philosophy and advances in science throughout the late 19th century. In 1824, Ørsted founded Selskabet for Naturlærens Udbredelse (SNU), a society to disseminate knowledge of the natural sciences. He was also the founder of predecessor organizations which eventually became the Danish Patent and Trademark Office. Ørsted was the first modern thinker to explicitly describe and name the thought experiment. A leader of the so-called Danish Golden Age, Ørsted was a close friend of Hans Christian Andersen and the brother of politician and jurist Anders Sandøe Ørsted, who eventually served as Danish prime minister (1853–54). The oersted (Oe), the cgs unit of magnetic H-field strength, is named after him. Ørsted was born in Rudkøbing. As a young boy Ørsted developed his interest in science while working for his father, who owned a pharmacy. 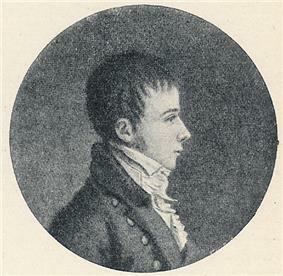 He and his brother Anders received most of their early education through self-study at home, going to Copenhagen in 1793 to take entrance exams for the University of Copenhagen, where both brothers excelled academically. By 1796 Ørsted had been awarded honors for his papers in both aesthetics and physics. He earned his doctorate in 1799 for a dissertation based on the works of Kant entitled "The Architectonics of Natural Metaphysics". In 1801 Ørsted received a travel scholarship and public grant which enabled him to spend three years travelling across Europe. In Germany he met Johann Wilhelm Ritter, a physicist who believed there was a connection between electricity and magnetism. This made sense to Ørsted since he believed in Kantian ideas about the unity of nature and that deep relationships existed between natural phenomena. Their conversations drew Ørsted into the study of physics. He became a professor at the University of Copenhagen in 1806 and continued his research with electric currents and acoustics. Under his guidance the University developed a comprehensive physics and chemistry program and established new laboratories. In 1800, Alessandro Volta discovered a galvanic battery inspiring Ørsted to think about the nature of electricity and to conduct his first electrical experiments. Between 1800 to 1803, he visited to Germany, France and Holland for lectures. He again visited Germany and France in 1812 after publishing a manual called Videnskaben om Naturens Almindelige Love and Første Indledning til den Almindelige Naturlære (1811). In Berlin he wrote his famous essay on the identity of chemical and electrical forces in which he first stated the connection existing between magnetism and electricity. Then, in Paris he translated that essay in Latin with Marcel de Serres. The Royal Society of London gave him the Copley Medal and the French Academy awarded him with 3,000 gold francs. Ørsted was just 43 when he made this great discovery. He established the Royal Polytechnic Institute in 1829 of which he was the first director. A compass needle with a wire, showing the effect Oersted discovered. On 21 April 1820, during a lecture, Ørsted noticed a compass needle deflected from magnetic north when an electric current from a battery was switched on and off, confirming a direct relationship between electricity and magnetism. His initial interpretation was that magnetic effects radiate from all sides of a wire carrying an electric current, as do light and heat. Three months later he began more intensive investigations and soon thereafter published his findings, showing that an electric current produces a circular magnetic field as it flows through a wire. This discovery was not due to mere chance, since Ørsted had been looking for a relation between electricity and magnetism for several years. The special symmetry of the phenomenon was possibly one of the difficulties that retarded the discovery. It is sometimes claimed that Italian Gian Domenico Romagnosi was the first person who found a relationship between electricity and magnetism, about two decades before Ørsted's 1820 discovery of electromagnetism. 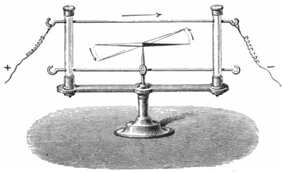 Romagnosi's experiments showed that an electric current from a voltaic pile could deflect a magnetic needle. His researches were published in two Italian newspapers and were largely overlooked by the scientific community. In 1822, he was elected a foreign member of the Royal Swedish Academy of Sciences. In 1825, Ørsted made a significant contribution to chemistry by producing aluminium for the first time. While an aluminium-iron alloy had previously been developed by British scientist and inventor Humphry Davy, Ørsted was the first to isolate the element via a reduction of aluminium chloride. In 1829, Ørsted founded Den Polytekniske Læreanstalt ('College of Advanced Technology') which was later renamed the Technical University of Denmark (DTU). 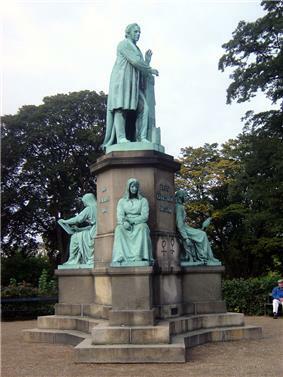 Ørsted died at Copenhagen in 1851, aged 73, and was buried in the Assistens Cemetery in the same city. Upcoming H.C. Ørsted Lecture : Dr. Jack Connerney, NASA Goddard Space Flight Center, USA : "Mars Crustal Magnetism: Through The Lens Sharply"
Professor Mario Molina, University of California San Diego, Nobel Prize Winner. ^ "Oersted". Random House Webster's Unabridged Dictionary. ^ a b "Hans Christian Ørsted". Hebrew University of Jerusalem. Retrieved 2009-08-14. ^ Martins, Roberto de Andrade, "Romagnosi and Volta’s pile: early difficulties in the interpretation of Voltaic electricity", in Fabio Bevilacqua & Lucio Fregonese (eds. ), Nuova Voltiana: Studies on Volta and his Times, Pavia / Milano, Università degli Studi di Pavia / Ulrico Hoepli, 2001, vol. 3, pp. 81-102. ^ Stringari, Sandro; Robert R. Wilson. Romagnosi and the discovery of electromagnetism..
^ "History of DTU". Technical University of Denmark. Retrieved 2009-08-14. ^ National Museum of Denmark. "The Soul in Nature: 1802". Accessed 30 July 2007. ^ Hans Christian, Ørsted (1852). The soul in nature: with supplementary contributions. H. G. Bohn. Brain, R. M. et al. (2007). 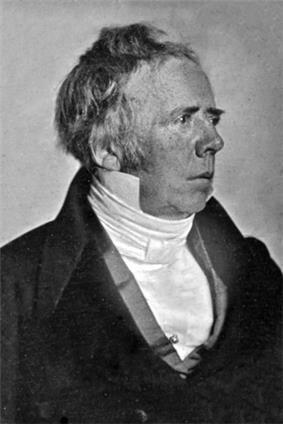 Hans Christian Ørsted and the Romantic Legacy in Science. Ideas, Disciplines, Practices. Boston Studies in the Philosophy of Science, 241. Dordrecht. pp. 273–338. Christensen, D. C. (2013). Hans Christian Ørsted. Oxford: Oxford University Press.